Do your pants keep falling down in a sad pile around your ankles, leaving nothing but a pair of bloomers to protect your bottom from the harsh, cold world? That’s no way to live, friend. We’re here to tell you that there’s a better way to live and it all begins with suspenders! 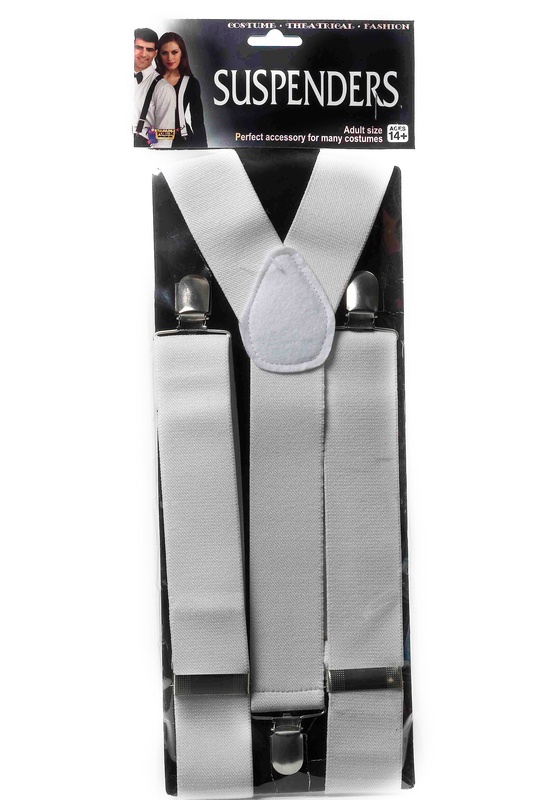 Yes, these lovely white suspenders bring sensibility to your life. This handy and revolutionary gadget actually attaches to your pants and straps around your shoulders, keeping them firmly in place. And these don’t JUST work with pants, no siree bob! You can attach them to your trousers, pantaloons, slacks and just about any type of garment that’s designed to fit on your legs. No longer will you have to worry about your pants falling down in the middle of an important speech or during a lavish soiree. So, hurry and get yours today! 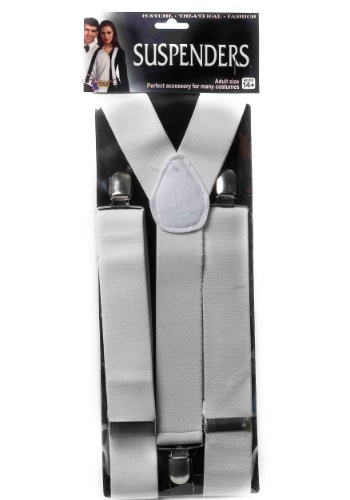 Don’t spend one more day without a pair of these white suspenders! They go great with a large variety of outfits and make for the perfect costume accessory when pantaloons security is a concern.